Two undergraduate students at the Free University of Brussels came across a formerly unknown kind of antibody when they were asked to test camels’ frozen blood serum in the year 1989. This antibody was a miniaturized version of a human antibody, composed of just a pair of heavy protein chains, instead of two heavy and two light protein chains. 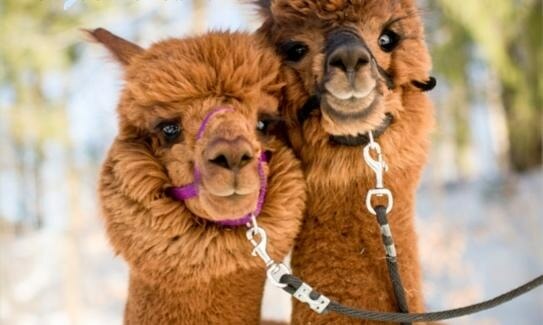 As the team ultimately reported, the presence of antibodies was validated in alpacas and llamas, in addition to camels. Three decades later, researchers at MIT and Boston Children’s Hospital have now reported in the journal PNAS that these tiny antibodies, which were further miniaturized to produce the so-called nanobodies, may aid in overcoming an issue in the cancer domain: that is, making chimeric antigen receptor (CAR) T-cell therapies work in solid tumors. CAR T-cell therapy is known to be highly promising for blood cancers. In this therapy, a patient’s own T cells are genetically engineered to make them better at fighting cancer cells. For instance, CAR T-cell therapy is being used by the Dana-Farber/Boston Children’s Cancer and Blood Disorders Center for relapsed acute lymphocytic leukemia (ALL). However, CAR T cells cannot properly eliminate solid tumors, and moreover, it has been rather difficult to locate cancer-specific proteins on solid tumors that can possibly act as safe targets. An extracellular matrix (ECM)—a supportive web of proteins that serves as a barrier—and immunosuppressive molecules that weaken the T-cell attack, protect solid tumors. That is where nanobodies enter. For 20 years, the Belgian team largely possessed the nanobodies; however, that changed following the expiration of the patent in 2013. A lot of people got into the game and began to appreciate nanobodies’ unique properties. Ploegh is also the senior investigator on the PNAS study. One valuable trait of nanobodies is their improved targeting abilities. Ploegh and his group at Boston Children’s Hospital, in association with Richard Hynes, PhD and Noo Jalikhani, PhD at MIT’s Koch Institute for Integrative Cancer Research, were able to harness nanobodies to transport imaging agents, which enabled accurate visualization of metastatic cancers. The Hynes group targeted these nanobodies to the ECM of the tumors—directing the imaging agents at the environment surrounding the cancer cells, and not at the cancer cells themselves. While these kinds of markers are common to a majority of tumors, they don’t usually appear on healthy cells. Our lab and the Hynes lab are among the few actively pursuing this approach of targeting the tumor micro-environment. Most labs are looking for tumor-specific antigens. Ploegh’s lab applied this concept to CAR T-cell therapy. His group, which included members of the Hynes lab, targeted the very factors that make it hard to treat solid tumors. The CAR T cells developed by the team were covered with nanobodies that detect certain proteins in the tumor environment, bearing signals that guide them to destroy any kind of cell they adhere to. EIIIB is a protein and a variant of fibronectin, and it is present only in freshly formed blood vessels supplying nutrients to tumors. PD-L1 is yet another immunosuppressive protein that is used by a majority of cancers to silence approaching T cells. The manufacturing pipeline was headed by biochemist Jessica Ingram, PhD of the Dana-Farber Cancer Institute, She was also the coauthor on the paper and Ploegh’s partner. Ingram would drive to Amherst, Massachusetts to collect T cells from a pair of alpacas called Sanchez and Bryson, and she would do that by injecting them with the target antigen and harvesting their blood for additional processing back in Boston to produce mini-antibodies. The nanobody-based CAR T cells destroyed tumor cells when tested in two individual melanoma mouse models, and also a colon adenocarcinoma model in mice. They considerably slowed the growth of tumors and enhanced the animals’ survival, with no instantly obvious side effects. According to Ploegh, the engineered T cells work through a blend of factors. For example, they inflict damage to tumor tissue, which has a tendency to trigger inflammatory immune responses. If EIIIB is targeted, blood vessels may get damaged in a way that reduces the supply of blood to tumors, while rendering them more receptive to cancer drugs. If you destroy the local blood supply and cause vascular leakage, you could perhaps improve the delivery of other things that might have a harder time getting in. I think we should look at this as part of a combination therapy. Ploegh believes this approach developed by his team may prove beneficial in several solid tumors. He is especially keen on testing nanobody-based CAR T cells in cholangiocarcinoma and pancreatic cancer models; cholangiocarcinoma is a bile duct cancer that caused the death of Ingram in 2018. Ploegh added that the technology itself can be pushed even further. Nanobodies could potentially carry a cytokine to boost the immune response to the tumor, toxic molecules that kill tumor and radioisotopes to irradiate the tumor at close range. CAR T cells are the battering ram that would come in to open the door; the other elements would finish the job. In theory, you could equip a single T cell with multiple chimeric antigen receptors and achieve even more precision. That's something we would like to pursue. The first author of the paper is Yushu Joy Xie, a graduate student in Boston Children’s Program in Cellular and Molecular Medicine and MIT’s Koch Institute. Supporters include the National Science Foundation, the Lustgarten Foundation, the American Gastroenterological Association, the National Institutes of Health, the National Cancer Institute, and the Howard Hughes Medical Institute Department of Defense.